Department of Paediatrics, University of Ilorin Teaching Hospital, Ilorin, PMB 1459, Ilorin, Kwara State, Nigeria. Durowaye M, Adeboye M, Yahaya-Kongoila S, Adaje A, Adesiyum O, Ernest SK, Mokuolu OA, Adegboye A. Familial Ectrodactyly Syndrome in a Nigerian Child: A Case Report. Oman Med J 2011 Jul; 26(4):275-278. Ectrodactyly, also known as Split-Hand/Split-Foot Malformation (SHFM) is a rare genetic condition characterized by defects of the central elements of the autopod. It has a prevalence of 1:10,000-1:90,000 worldwide. The X-linked and autosomal dominant types have been described. It can occur as an isolated malformation or in combination with other anomalies, such as tibial aplasia, craniofacial defects, and genitourinary abnormalities. Ectrodactyly-ectodermal dysplasia-clefting syndrome (EEC) is an example of ectrodactyly syndrome accompanied by multiple organ defects. 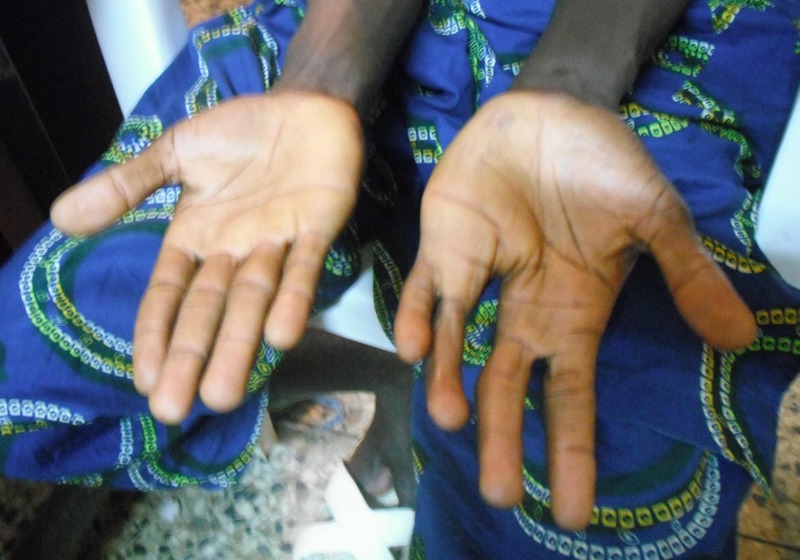 Ectrodactyly has been reported in Africa, especially in several families in remote areas of central Africa but there has not been any published work on ectrodactyly in Nigeria. A baby was born in Ilorin, North Central Zone of Nigeria, with an uneventful prenatal and delivery history but was noticed to have malformation of the two hands and the two lower limbs at birth which are replica of the father’s malformation. 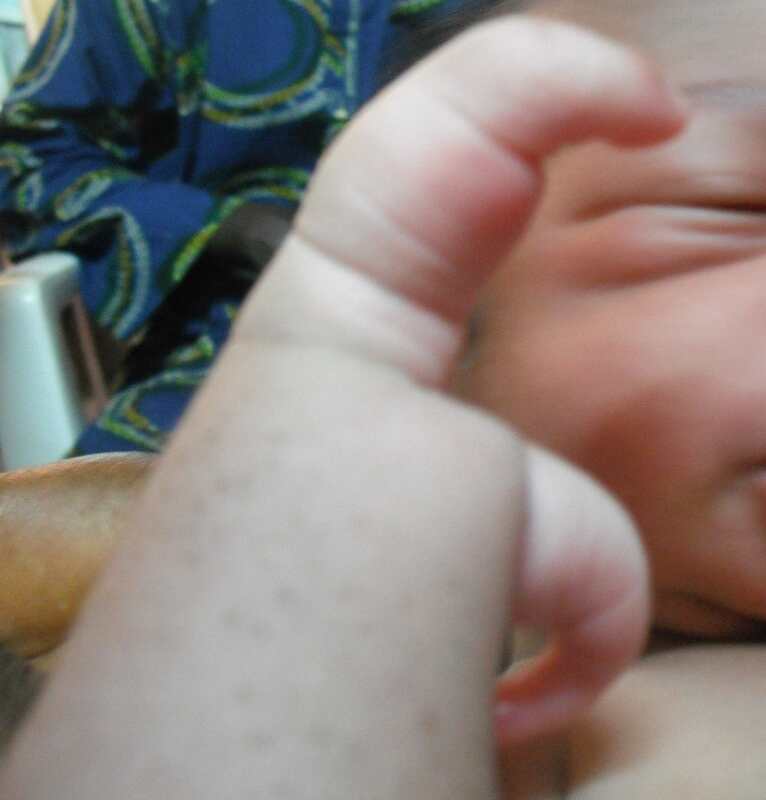 We present this case to highlight familial ectrodactyly in Nigeria and prepare us to improve upon simple prenatal diagnosis and management of the challenges associated with patients with congenital malformation in Nigeria and other developing countries. Ectrodactyly is a congenital limb malformation characterized by a deep median cleft of the hand and/or foot.1,2 The word ectrodactyly was coined from two Greek words - ektroma (abortion), and daktylos (finger).2 It is a rare congenital anomaly in Nigeria though the true prevalence is unknown. A case seen in our institution (University of Ilorin teaching Hospital, Ilorin, Kwara state, Nigeria) necessitated a literature review and a report. Ectrodactyly is said to be relatively common in few central African communities with possible common progenitor.9 These are namely; two groups from eastern Botswana and south-western Zimbabwe belonging to the Talaunda tribe and have a common ancestral origin. Another family are members of the Wadoma tribe of north-eastern Zimbabwe (described as the two-toed ostrich-foot people).9,10 Recent studies have found three families of affected individuals among these tribes.1 In Nigeria, this is the first case to be reported to the best of our knowledge. Figure 1: Baby’s Right Hand. Figure 2: Both hands and legs. Figure 3: Clawed digits (Split hand). The anterior fontanel was normotensive, about 4 cm x 6 cm. The baby had low set ears, no facial cleft or ocular abnormality. Anthropometry parameters were normal (weight 3.0 kg, OFC 36.0 cm, Length 49.5 cm). Both arms and forearms were normal. The right upper limb had two digits with proximal and distal interphalangeal joints, but no carpal and no metacarpal bones. 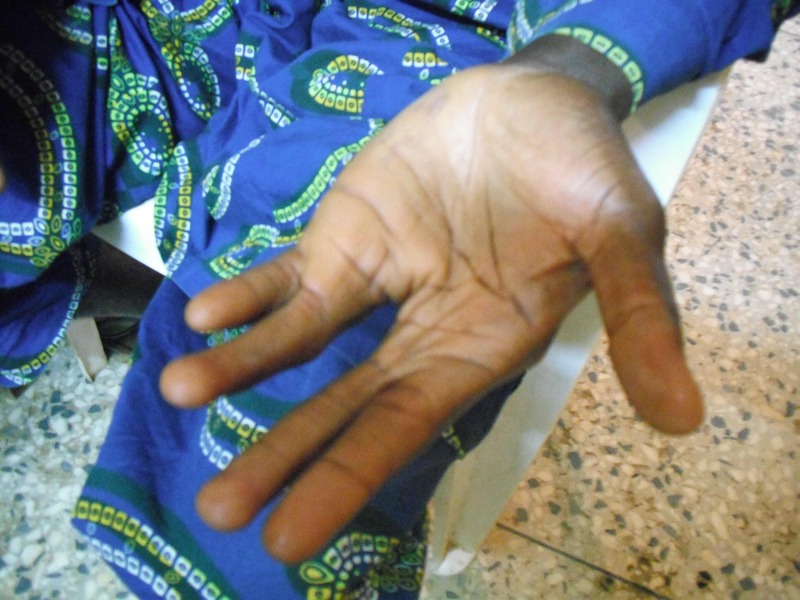 Ectrodactyly (cleft) of the left hand, with three digits (1st, 2nd, and 5th digits). The 1st digit attached more distally to the 2nd (Figs. 1-3). Bilateral hypoplastic legs with malformed flexed and internally rotated knee and ankle joints. Each foot had only a digit. Ultrasound revealed no structural abnormality of intra-abdominal organs while babygram, (Figs. 4,5) showed hypoplasia of both tibia and fibula and dilated loops of the bowels. There was no spinal abnormality and other systems were normal. But the father had similar clefts of the left hand and the right foot, (Figs. 6-8). A diagnosis of familial ectrodactyly was made. Figure 4: Babygram 1 showing dilated loops of bowels. 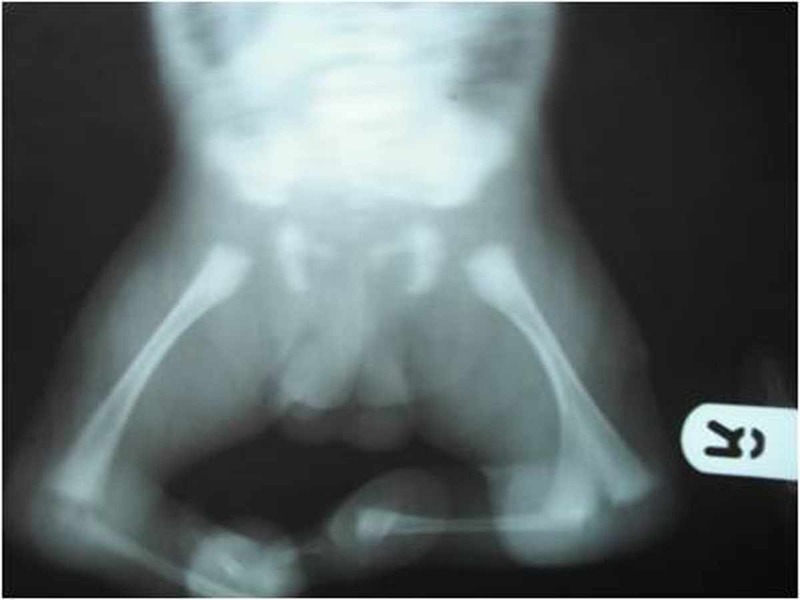 Figure 5: Babygram 2 showing hypoplasia of both tibia and fibula. The parents were counseled and the child was discharged on the third day of life for follow-up care following the parents' persistence. The baby however was not presented for follow-up care, and was said to have died when a follow-up call was made to the parents two week after birth. Figure 7: Father’s right foot. Figure 8: Father’s both hands. This is a case of familial ectrodactyly most likely with autosomal pattern of inheritance. The penetrance is obviously high in this case. Possible parental denial made it difficult to ascertain the involvement of the two siblings who reportedly had no malformation but died of febrile illness before their second birthdays. 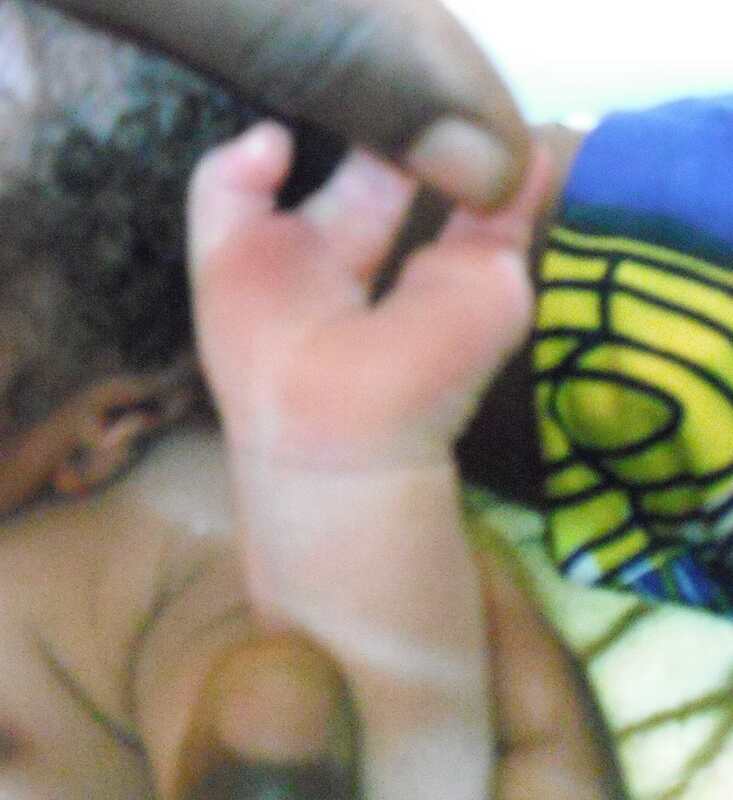 A patient with isolated ectrodactyly can live near normal life if well managed, just as the father of this infant who is a driver, but superstitious beliefs and social stigma constitute challenges to survival of such patients. Despite counseling, this child was not brought for follow up, and unfortunately, the managing unit was only told of his sudden death at two weeks of life when the team made a follow-up call. The outcome of this infant is not different from many cases of major congenital malformation in developing countries, where parents’ initial enthusiasm to seek medical help become dashed when they soon realized that the much anticipated cure may not exist.11 Some parents and relatives readily think infanticide may be a way of coping with the associated social stigma. Illiteracy and declining primary healthcare negatively impact the health seeking behavior of parents, this partly explain the reason this woman with two infantile death and a family risk factor for congenital malformation still did not benefit from prenatal diagnosis, counseling and management. Facilities for chromosomal studies are not readily available in most developing countries like Nigeria, this limits understanding of the genetic disorder underlining most of the congenital abnormalities encountered in clinical practice. Physicians need to rise up to the challenges in management of children with congenital malformations such as ectrodactyly, and be equipped to answer without unnecessary delay the usually burning questions in the minds of the parents, namely; what is this? what is the cause? Does it have any cure? and is there a chance of recurrence? The quality of counseling, social support and expertise for the required multidisciplinary care will determine if we shall make progress in achieving improved survival and quality of life of children with major congenital malformation. Major congenital malformations contribute to infant morbidity and mortality, the prevalence in developing countries is largely unknown, and current preventive public health approach may not significantly impact the incidence. Acquisition of management skills especially quality counseling, availability of diagnostic tools, especially chromosomal studies and multidisciplinary care will contribute significantly to improve survival of a child with congenital malformations such as ectrodactyly. In summary, there is need for clinicians to be better prepared for management of all aspects, including the social aspects of children with major congenital anomalies. Counseling of the parents and the care givers should be provided irrespective of the similarity of the anomaly with that seen on the parent(s). The authors reported no conflict and no funding was received on this work. 2. Pinette M, Garcia L, Wax JR, Cartin A, Blackstone J. Familial ectrodactyly. J Ultrasound Med 2006 Nov;25(11):1465-1467. 3. Kelman GJ, Aronoff RC. Ectrodactyly-ectodermal dysplasia-clefting syndrome. J Am Podiatr Med Assoc 2000 Oct;90(9):460-464. 4. Duijf P, van Bokhoven H, Brunner HG. Pathogenesis of split-hand/split-foot -malformation. Hum Mol Genet 2003;12:51-60 . 5. Elliott AM, Evans JA, Chudley AE. Split hand foot malformation (SHFM). Clin Genet 2005 Dec;68(6):501-505. 6. Ozen RS, Baysal BE, Devlin B, Farr JE, Gorry M, Ehrlich GD, et al. Fine mapping of the split-hand/split-foot locus (SHFM3) at 10q24: evidence for anticipation and segregation distortion. Am J Hum Genet 1999 Jun;64(6):1646-1654. 7. Ahmad M, Abbas H, Haque S, Flatz G. X-chromosomally inherited split-hand/split-foot anomaly in a Pakistani kindred. Hum Genet 1987 Feb;75(2):169-173. 8. Köhler R, Sousa P, Jorge CS. 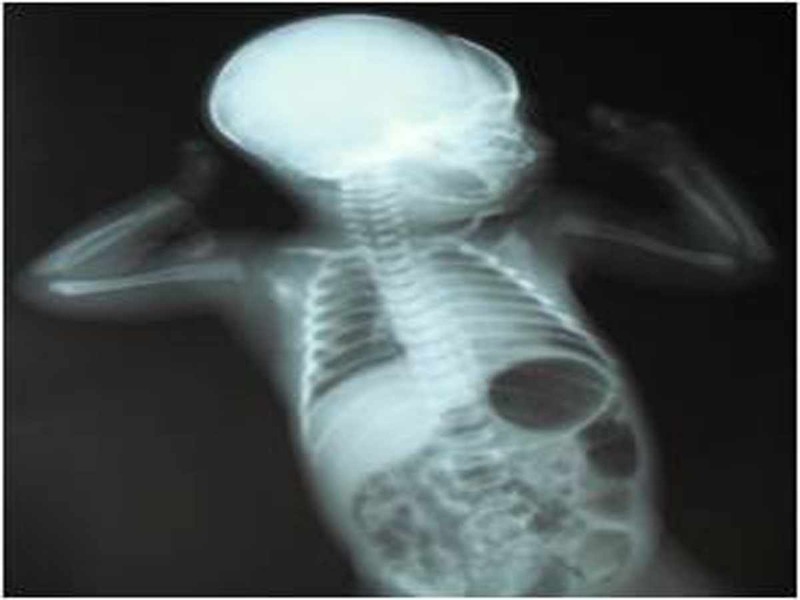 Prenatal diagnosis of the ectrodactyly, ectodermal dysplasia, cleft palate (EEC) syndrome. J Ultrasound Med 1989 Jun;8(6):337-339. 9. Viljoen D, Farrell HM, Brossy JJ, McArthur M, Maheswaran M, Beighton P. Ectrodactyly in central Africa. S Afr Med J 1985 Oct;68(9):655-658. 10. Farrell HB. 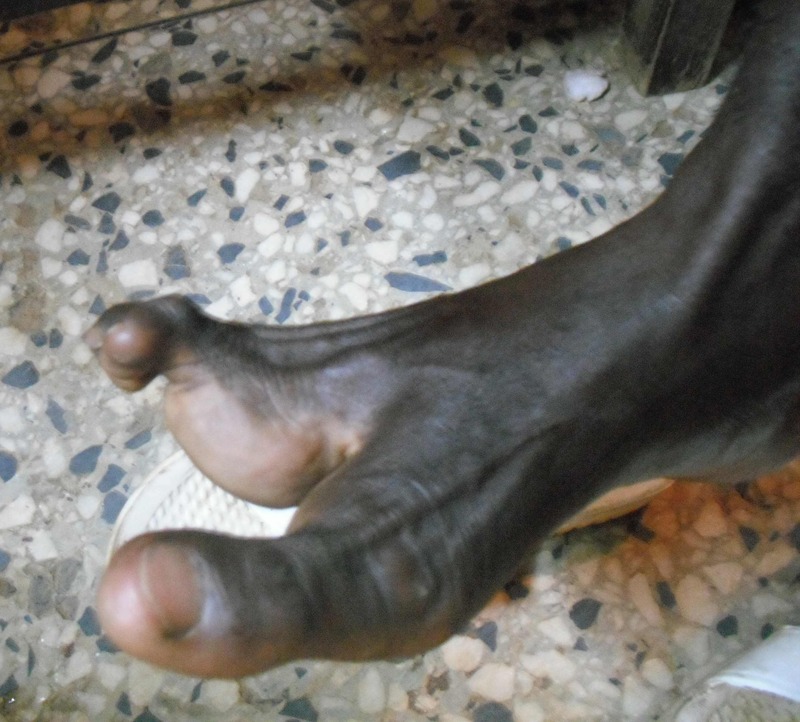 The two-toed Wadoma–familial ectrodactyly in Zimbabwe. S Afr Med J 1984 Mar;65(13):531-533. 11. Adeboye MA, Eze EC. Oral - Facio- digital syndrome in a Nigerian infant- a case report. Niger J Paediatr 2008;35:43-49.